Football season is here. Your friends are gathering at your place, and you are looking for more seating. There are some things you should know before purchasing a great, comfy sectional to fit the crew. A sectional sofa can be extremely comfortable and offer plenty of available seating, especially during football season. However, knowing where to place such a large piece of furniture can be difficult. After proper placement of a sectional sofa you might just be amazed at how much seating you have. Here are 4 tips for placing your sectional in the right spot. This East Hampton beach house's living room shows a perfectly placed white slipcover sectional. It sits in the center of the room with a square chrome frame coffee table, two slipcover club chairs and two ottomans for lots of flexible seating. This is a great set up for those large gatherings. A chaise lounge on your sofa must be the main factor in deciding where to place your sofa. It should be out of the way to avoid tripping or having to walk around it to sit. Ideally, place chaises out of the way, such as against a wall or outside walking areas. Believe it or not, the middle of the room may actually be the best place for a sectional sofa. Sectionals are often larger and deeper than other sofas, placing your sofa in the middle of the room will enable you to use an otherwise open space. While you may be tempted to separate the pieces of your sectional sofa, so it will fit better in the room, doing so will only create an awkward looking room. The sofa pieces are intended to be attached, separating them result in there not being an end on one half of the unattached piece. This will look unfinished and as though you were unsure of how to properly place the sofa. It is best to keep the sofa together and intact. A sectional sofa is larger, you should make sure that each seat is equally comfortable. Centering the furniture around a coffee table will show that you have considered each seat's comfort and access in your decorating. The coffee table you choose does not have to be particularly large, but instead could be narrow and long to accommodate the entire sofa. Also, do not overlook the possible need to place end tables at either or both ends of the sofa. These seats are often the furthest away from the coffee table but also the most utilized. Therefore, it may be wise to put a small table to accommodate drinks or lamps. Now that you know the rules, you have many options on style, size and layout. 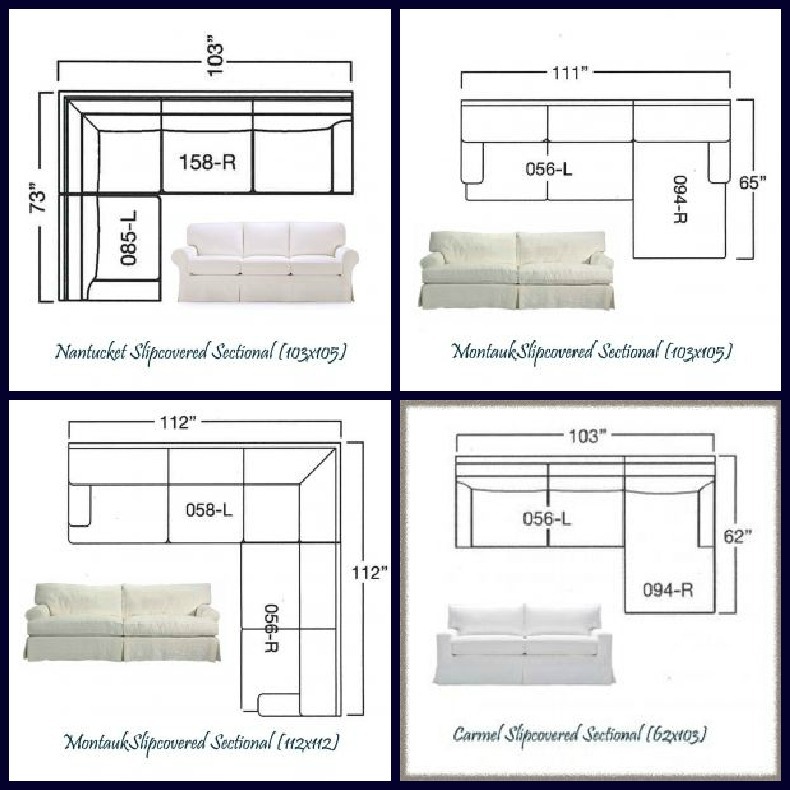 Don't forget to measure your space to find the perfect sectional. Have fun shopping.